The first season of Windjammers Flying Power League is off to a great start! After its first Major event at NorthEast Championship 18 at Philadelphia, Frosty Faustings X welcomed the largest Windjammers tournament ever organized with no less than 123 entrants ready to face off on the court. At the outcome of these two days of confrontation on the warm sand of Windjammers’ court, Keikun took the win over BSA| Brolando_Bloom after an intense grand final forever engraved in our memories. Shout out to BSA| Farva for making a real come back from hell to the Losers Final. Thank you to Frosty Faustings team for putting up such a great event and allowing us to gather Windjammers community to the largest tournament ever made. 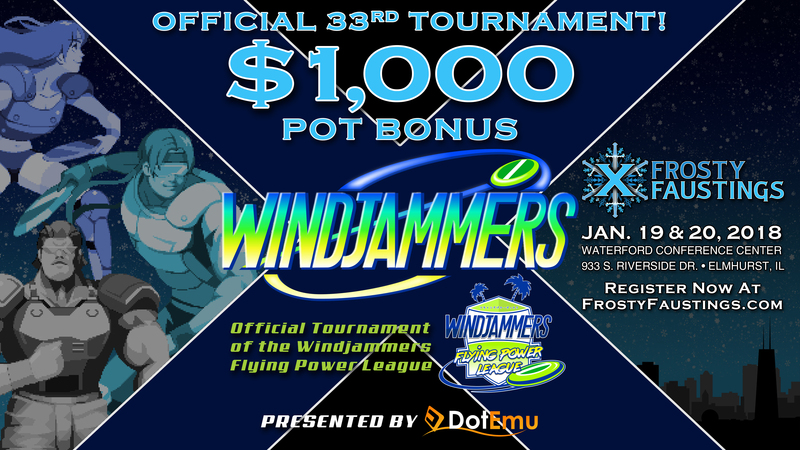 Windjammers Flying Power League journey has just begun, so stay tuned for upcoming news and our future events!